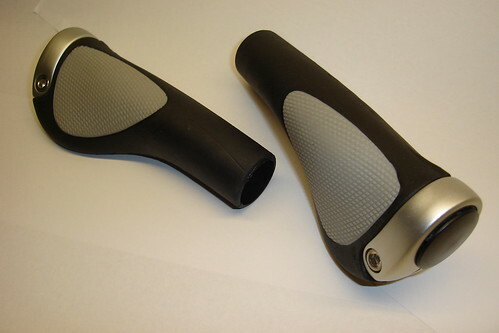 The kind folks of Ergon Bike Ergonomics are letting us test their cool grips. I’ve already got it installed on my Giant Warp. So stick around for the review. I’d love to see a shot of those on the bike. I can’t tell from looking at them how they’re supposed to go on the bike!